We were in Solenad 3 last week because I need to buy gift and cake for my son. 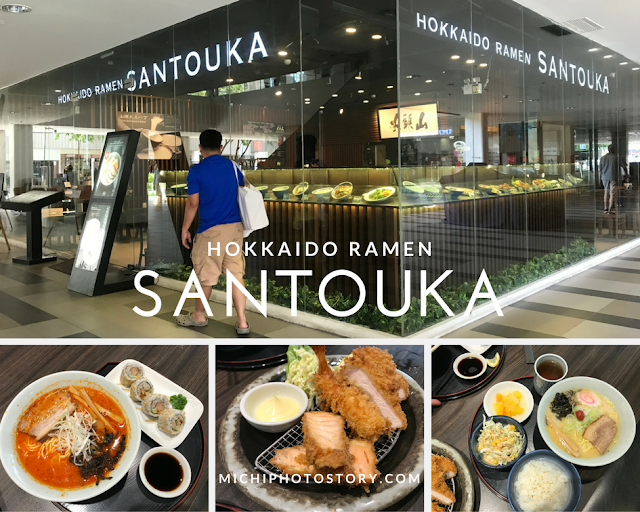 After doing our errands, we ate lunch at Hokkaido Ramen Santouka. We are frequent visitor of Solenad Nuvali pero sa dami ng restaurant doon, hindi pa namin natry lahat. I was nursing a cold at that time so I decided to eat some ramen. It was our first time in Hokkaido Ramen Santouka so we asked the staff for the best seller. 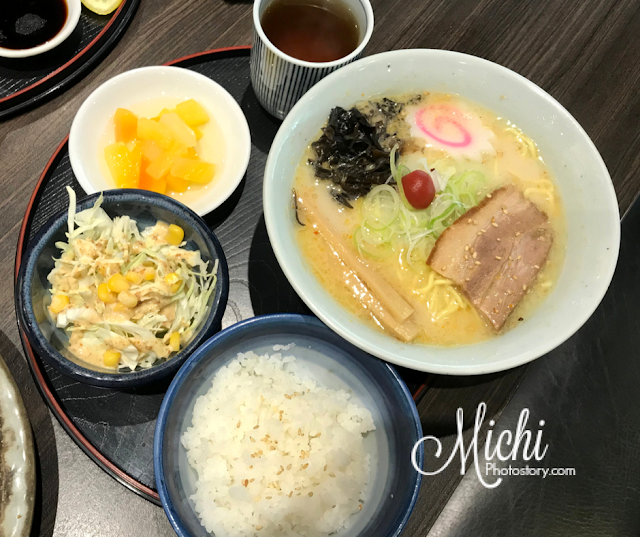 She suggested the Shio Ramen and Spicy Miso Ramen, so we ordered 1 Santouka Set Menu F “Small Ramen and Mixed Furai and Small Rice Bowl Set” P590 and 1 Santouka Light Meals 1 “Small Ramen & Charsiu Roll Meal” P375. The set menu includes small size ramen, rice bowl, salad, dessert and tea. I think this is good for sharing na nga, just add one extra rice. I chose Shio Ramen while my husband chose the Spicy Miso Ramen. Shio Ramen (Salt) is white tonkotsu soup with gentle flavor. 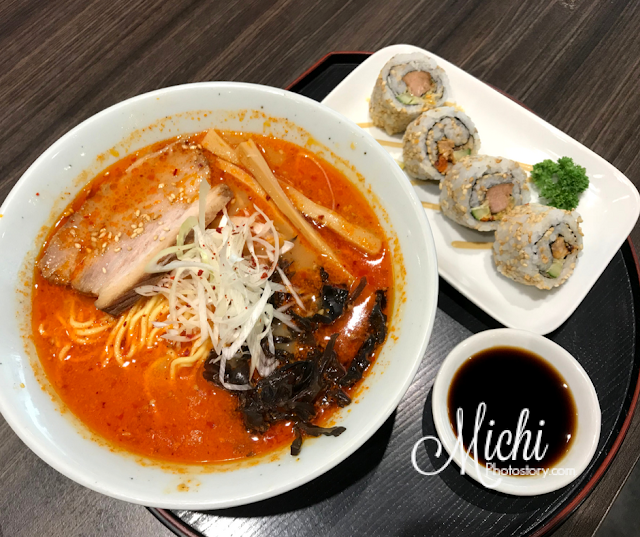 The Spicy Miso Ramen ( Soybean paste) has three kinds of chili peppers which make the soup rich in flavor. My husband enjoyed this, flavorful nga daw. I did not try it since I’m not fond of spicy foods. The ramen is good but their katsu set is just okay. It is a bit dry for our taste, naovercooked na siya and hindi na juicy. I like salmon and shrimp pa naman, pero dry siya. 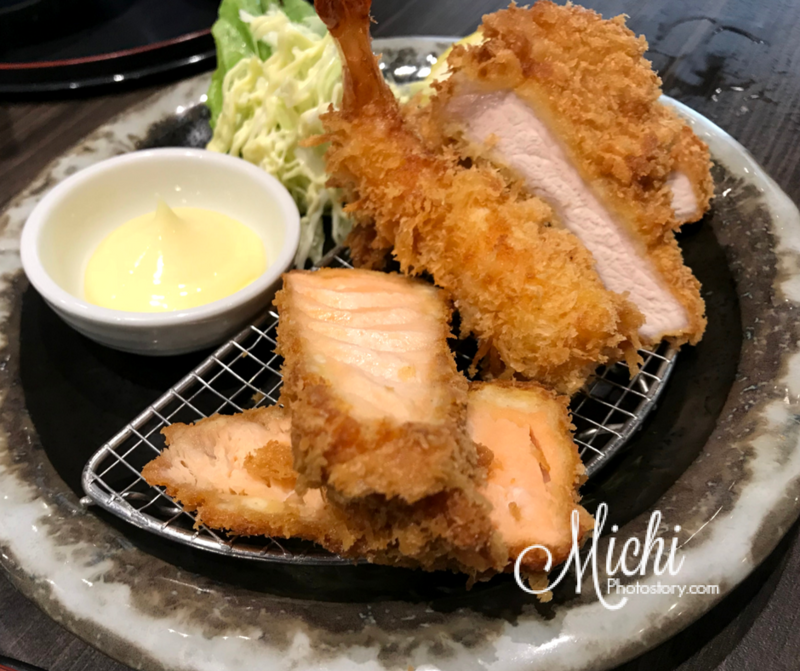 Good thing we ordered the mixed set so we were able to try the salmon, shrimp and pork or chicken katsu. Pork or chicken kasi feeling ko pork siya while si hubby chicken naman ang lasa niya. Hahaha! For katsu meal, we prefer another restaurant. I hope so, because we were really looking for the juiciness of the meat. 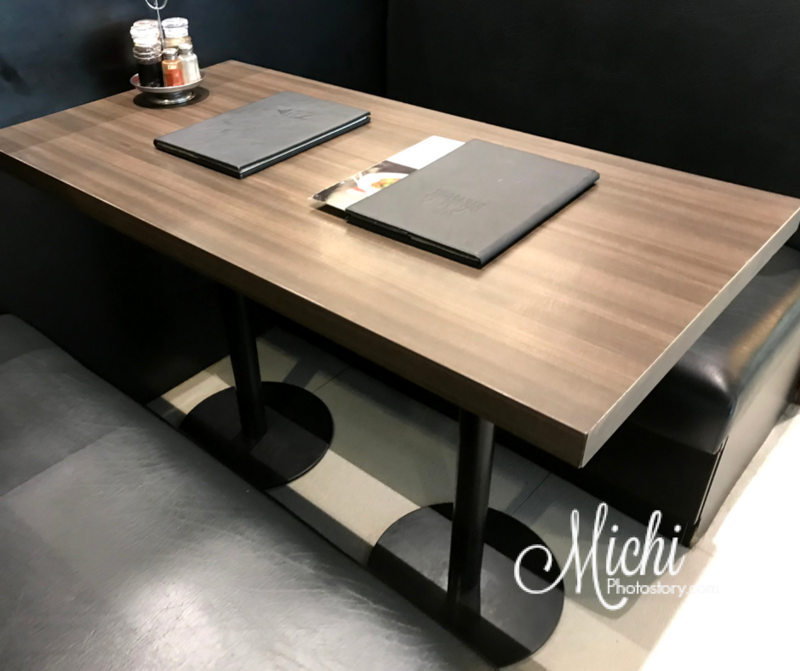 We took advantage our Tokyo trip too and tried their katsu meals. Nakakamiss! Will take note of those two restaurants. We haven't tried it yet. We love ramen. We got really hooked with ramen because of my hubby, who would prefer to eat ramen any day. Haha! We saw this resto when we went there sa Nuvali several months ago but wasn't able to try it. I dont like ramen before. But when my friend brought me to a japanese diner that serves real delicious ramen, I've come to appreciate a bowl of it especially if it tasted close to the original. Love tempura and anything japanese, too. I'm not into ramen but I enjoy Japanese ramen too.